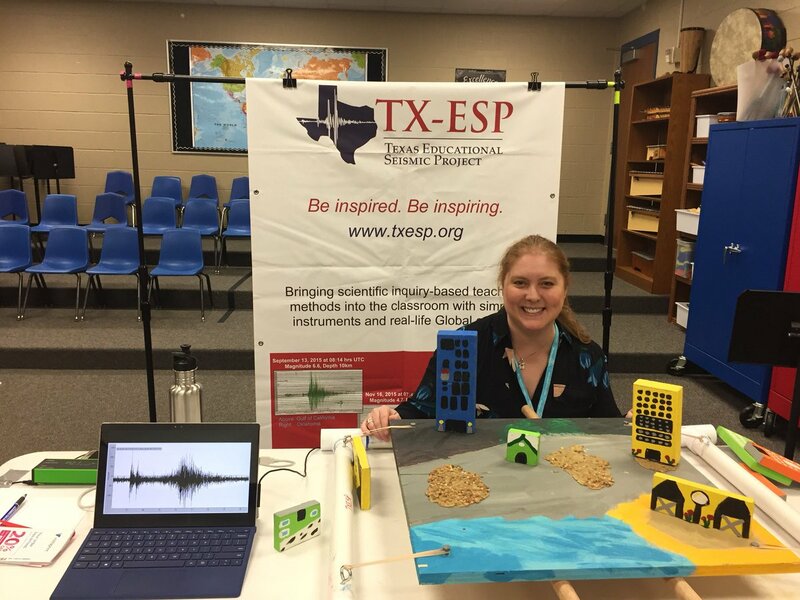 Texas Educational Seismic Project is excited and eager to attend Texas Women and Girls in STEM Summit in Austin TX, Dec 7, 2018. STEM Professionals or educators are encouraged to participate and network. We humbly thank the event sponsors for supporting our attendance! Friday, December 7, 8:30 a.m. – 4:30 p.m.
Join the Texas Girls Collaborative Project for our 2nd Annual Texas Women and Girls in STEM Summit designed to share best practices, connect organizations and individuals, and showcase outstanding efforts to increase the number of girls in STEM and support the retention of women in STEM careers. STEM professionals and all who are engaged in education, outreach, recruitment, and/or retention of women and girls in STEM are invited to join in. This event is hosted during Computer Science Education Week (CSEdWeek), held in recognition of the birthday of computing pioneer Admiral Grace Murray Hopper (December 9, 1906), and is one of the many events or programs joining in the Greater Austin STEM Ecosystem’s CSEdWeek amplification. Thanks to the corporate partners for supporting the Texas Women and Girls in STEM Summit. Cost is $75 and includes parking validation, breakfast and lunch. Accepted presenters will receive a discounted registration rate. Register online by Wednesday, December 5. Presenters will be offered a $30 discounted registration fee. Limited registration scholarships are available. Inquire via email. Please also note that this is not an event designed for minors. Any minor presenting or in attendance must be chaperoned by a participating adult at all times. Who else is registered? Check out the list of organizations represented by registered participants. Corporate Partnerships: Contact Tricia Berry at triciaberry@txgcp.org for information on how to support the Texas Women and Girls in STEM Summit or check out the sponsorship opportunities overview. Social Media: Find us on Twitter, Facebook and Instagram at @TXGCP. We’ll use hashtag #TXGCPSummit for the event. See the Texas Women and Girls in STEM Summit 2017 webpage for past presentations.